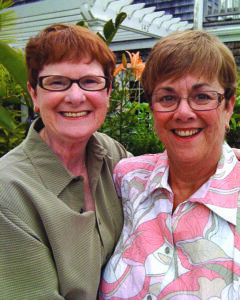 Missouri lesbian couple Mary Walsh and Beverly Nance were preparing for the next chapter of their lives and wanted nothing more than to stay in the community that they’ve called home their whole lives. What happened next was not what Mary and Bev were expecting. The National Center for Lesbian Rights is leading the litigation, along with private attorneys and the ACLU of Missouri, in what’s believed to be the first federal suit of its kind. The couple made national headlines, but Mary and Bev are not alone. In more than half the country, LGBT Americans live in fear of being fired from a job, turned away from a business, or denied a place to live—all because of who they are. A majority—60 percent—of states do not explicitly prohibit discrimination against LGBT people. And there is no federal law protecting LGBT Americans from discrimination. LGBT older people are particularly vulnerable to discrimination because religiously affiliated organizations provide a majority of the services they rely on for their most basic needs. 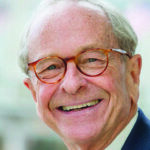 In fact, 85 percent of nonprofit continuing care retirement communities are religiously affiliated, as highlighted in Dignity Denied: Religious Exemptions and LGBT Elder Services, a recent report by SAGE, the Movement Advancement Project (MAP), and Columbia Law School’s Public Rights/Private Conscience Project. Mary and Bev are a real-life example of the consequences of the dangerous expansion of so-called religious exemptions. A coordinated, nationwide effort is being made to pass religious exemption laws and policies, and to file lawsuits that would allow individuals, businesses, and even government contractors to use religion as a license to discriminate against a range of communities, including LGBT people. In response to the ongoing threat of religious-based LGBT discrimination, SAGE fought back, launching its Care Can’t Wait campaign in May. The campaign, which has reached thousands of supporters across the country, is mobilizing LGBT elders, allies, providers, and all who believe in caring for our community members to stand with LGBT elders in the face of religious-based discrimination. To date, more than 25,000 people have signed the Care Can’t Wait pledge. When news of Mary and Bev’s story broke, SAGE joined forces with the NCLR, and via an expansion of its Care Can’t Wait campaign asked supporters to pledge to stand with Mary and Bev—and all LGBT older adults—in the face of discrimination. The campaign on behalf of Mary and Bev netted nearly 3,000 petitioners and a growing awareness of the couple’s plight, including a major feature in the New York Times in August. Hopefully Friendship Village will soon be in the minority. 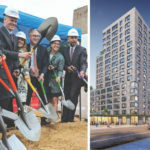 Hundreds of aging providers across the country are working with programs like SAGECare, which provides LGBT cultural competency training to housing service providers. 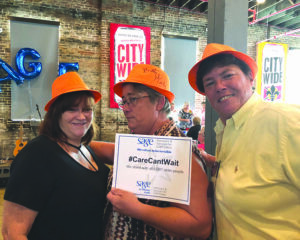 With Care Can’t Wait as a rallying cry, SAGE will continue to fight against any proposed legislation that allows a license to discriminate against LGBT people, especially LGBT elders. Read what Rev. Gene Robinson thinks about where religion ends and civil rights begin. This article originally appeared in the Fall 2018 issue of SAGEMatters.